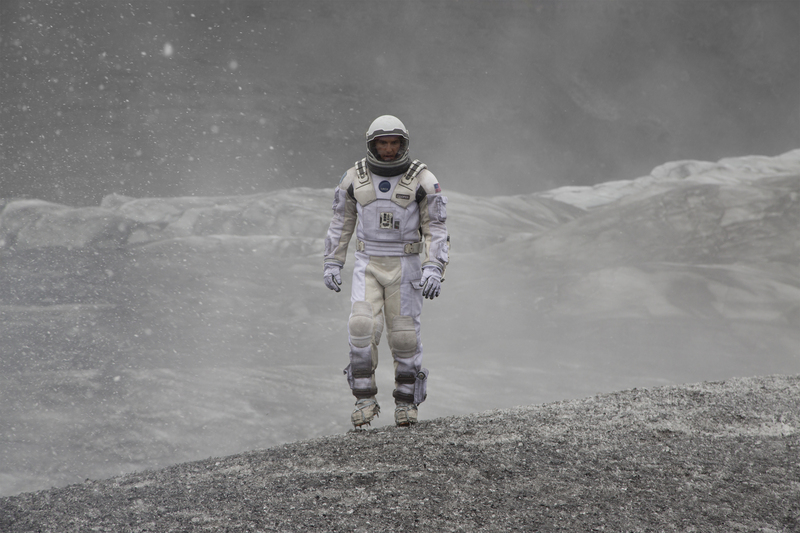 Visually ambitious but thematically heavy-handed, “Interstellar” aims for a soaring, suspenseful film experience, but ends up collapsing under its own weight. 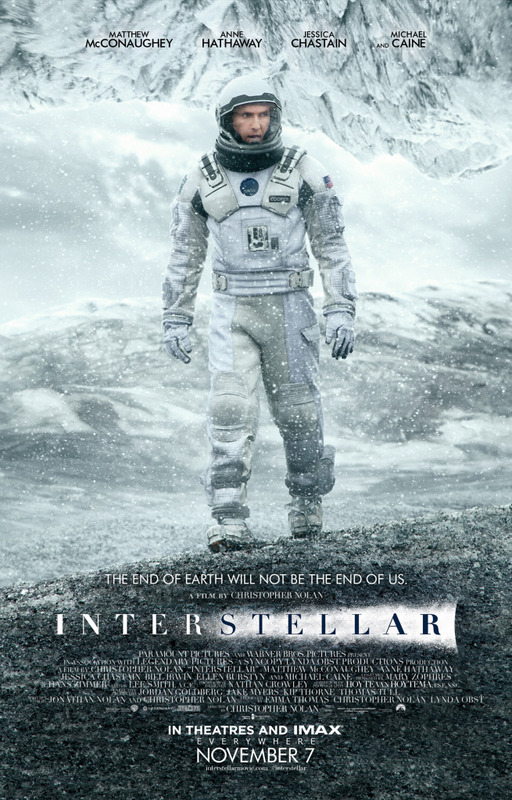 As visually ambitious as anything Christopher Nolan has brought to the screen to date, Interstellar aims for the same heights of pulse-pounding suspense and emotional resonance that Gravity so memorably achieved around this time last year. Unfortunately, the film is as heavy-handed with its themes as it is innovative with its effects. Overwrought with melodrama in place of genuine depth and human connection in an effort to keep the human drama the primary narrative focus, the film starts slow and drags progressively slower through its nearly three-hour running time until narratively it collapses under its own weightiness. And then it keeps going. In the latter half of the 21st century, Earth’s population faces the prospect of eventual starvation and suffocation after a blight devastates the planet’s vegetation and food resources, which in turn slowly changes the composition of its breathable atmosphere and its weather patterns. Once-great nations no longer capable of feeding their people dismantle their military and space programs, turning all their science and industrial engineering efforts toward finding ways to simply keep crops growing. But something different is happening, something that initially only Coop’s perceptive and spirited daughter Murph (Mackenzie Foy) recognizes as extraordinary. Once she has her dad convinced, the two follow the evidence where it leads and stumble upon the underground work of Professor Brand (Michael Caine), who along with his daughter Amelia (Anne Hathaway) are at the head of a secret government project aimed at reaching the one place the rest of humanity has turned away from: the stars. Brand and his colleagues know that soon even the corn will stop growing on Earth, and thus the human race will die out unless it can find a new world to call home. The key to finding that world or worlds and verifying that they can, in fact, sustain human life is a wormhole just beyond the orbit of Saturn, the other end of which opens at a position outside of our galaxy. Coop, of course, is the perfect choice to pilot the ship they’ve built to complete the mission and potentially save mankind, and he makes the difficult choice to leave Murph and the rest of his family behind in order to be a part of that effort. But as the mission progresses and complications arise that make the chances of their return even more remote, Coop and his crew are soon faced with the reality borne of relativity: hours and days for them are years and decades for the people they left behind, and the longer their mission takes, the greater the chance that there won’t be anyone left alive on Earth to return to and save. Certainly, the idea that Earth is a nest from which humanity must at some point leave behind, and the idea that our race might be forced from the nest due to our depleting of the planet’s natural resources or some other environmental calamity are not new in science fiction literature or film. What’s most striking and distinctive about Nolan’s approach to exploring these ideas is his grounding the story and its execution in real world engineering and astrophysics as they are understood today. The film’s science and production design all look and feel in line with what audiences expectations might be considering today’s technology and its capabilities. What’s more, the film’s many stunning shots of stars and planets all look very much like HD photography released to the public from the Hubble’s Space Telescope. There’s so much authenticity in every detail of the production that when it comes to visualizing the elements of the film’s story that are theoretical and might still be considered science fiction by audiences, it doesn’t take much to suspend disbelief. When the film shows and tells us that this is what a wormhole might really look like, or this is how it would feel to travel near to or even through one, you’ll believe, because the authenticity of the rest of the production has earned your trust. But for all that scientific credibility and effort spent to have audiences buy into what they’re seeing unfold on screen in terms of the film’s action, where Nolan and fellow screenwriter Jonathan Nolan will most likely lose audiences is in all the artificial character drama they attempt to fill the spaces between all those breathtaking space sequences with, and there’s a lot of space to fill. Their intent seems clear enough: to keep the stars, the planets, and the film’s future doomsday scenario simply a backdrop for a story that’s really an exploration of the power of human emotion and connection. Family is a constant theme in Interstellar — in some way, shape, or form the connection to family or the absence of that connection drives and informs each of the main characters’ actions. To fully explore that theme, the Nolans structure things in such a way that the power of love (apologies to Huey Lewis and the News) becomes as important a dimension and force in the film’s progression as time, space, or gravity, literally and figuratively. While that might sound profound and meaningful to a broad audience in theory, as executed here it comes off as forced, at times preachy, and by the end sentimental almost to the point of being saccharine. So despite the solid performances from the all-star ensemble of actors and all that technical flair and scientific accuracy, once it’s clear where this one’s going in its final stretch, it’s tough to not feel a little let down. Or a lot let down. Starring Matthew McConaughey, Anne Hathaway, Jessica Chastain, Bill Irwin, Ellen Burstyn, and Michael Caine. Directed by Christopher Nolan. Rated PG-13 for some intense perilous action and brief strong language.